Texas bass fishing. That phrase conjures up visions of fishing rods bent over double trying to land a big "hawg". 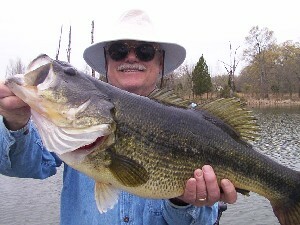 Lake Fork has a reputation for producing big bass. The lake covers 27,690 acres and almost any lure will work at various times of the year. On weekends the lake gets a lot of boat traffic because it is only a couple of hours drive east of Dallas. So the best time to fish is during the week or after dark when the boat traffic has died down. Lake Sam Rayburn covers 114,500 acres and has been one of the state’s best bass lakes for a long time. The creeks feeding into the lake are loaded with standing and fallen timber. It has most everything you would want in a big bass lake. It is located in southeastern Texas and receives a lot of fishing pressure on the weekends. The main part of the lake is not the best bass fishing area. To find the best bassin action you have to fish the many coves and creeks full of cover and vegetation. Lake Sam Rayburn is 15 miles north of Jasper, TX, in the Angelina National Forest. Lake Livingston is located on the Trinity River, west of Livingston and 50 miles north of Houston. The lake covers 90,000 acres. Lake Livingston has 6 public boat ramps and many privately operated boat ramps surrounding the lake. Lake Palestine covers 25,560 acres and is located on the Neches River about 15 miles north of Tyler, TX. This lake is more secluded and away from the crowds. Lake Texoma is located on the Red River on the Texas/Oklahoma border, northwest of Denison, TX. It is known for its great bass fishing and for upscale Marinas and Resorts. I also listed this lake in my Oklahoma Bass Fishing web site. Lake Lewisville is located on the Trinity River near Lewisville, TX. It covers 29,592 acres. The lake offers over 20 RV parks, marinas and cabins. It is a very popular lake so reserve your RV space well in advance at lake lewisville parks marinas and cabins. Toledo Bend covers 185,000 acres and extends into the state of Louisiana. 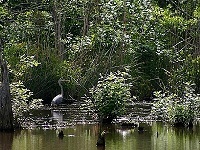 It is a prime bass habitat with abundant vegetation and timber which combines to provide exciting Texas bass fishing.